Everything in your life that flows out of love has come to you from God. Everything in your life that is good has been initiated by God. God has done everything for you, He is everything to you, and He is enriching other lives through you. 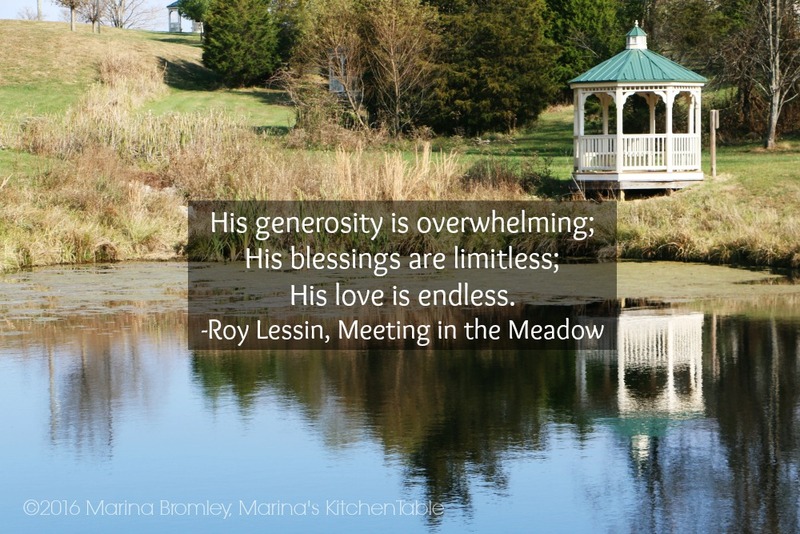 His generosity is overwhelming; His blessings are limitless; His love is endless. All of God’s grace abounds toward you, all of Christ’s riches are made available to you, and all spiritual blessings are provided for you. In Christ, you have received the treasures that can never be taken away, the hope that can never fade away, and the life that will never pass away. As you walk with Jesus day by day, you will find that your thankfulness to Him is an ever increasing symphony of praise, building into a lifelong crescendo of gratitude that flows from your heart to His. You, who have so little, have received so much, because He has been so generous.